Just how remote is the island? 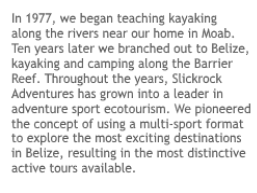 Now that the season is in full swing and I am on the phone all day talking about Belize and our island, I am reminded how people searching the internet for Belize vacation trips just don’t understand what it means to go to a very remote part of the globe. Everyone wants to go to an exclusive location with no one else around, but they all expect it to be easy to get to. Guess what: if it’s easy to get to, there will be a lot of other people there. The harder a vacation spot is to travel to, the less people you will find when you arrive! Our island, Long Caye at Glover’s Reef (pictured at left, above), is 35 miles off the shore of Belize, and is due east from Dangriga, Belize, which is about 50 miles south of Belize City. If you travel from Dangriga to Glover’s it’s a 35-mile boat ride. If you go directly from Belize City as we do, it’s a 65-mile diagonal route. Glover’s Reef is an atoll out past the Belize Barrier Reef (see our blog post What is an Atoll? or our Belize maps page on our website), so the first part of the boat ride is inside of the Belize Barrier Reef and the second part of the ride is outside the barrier reef. Regardless of whether you start in Dangriga or Belize City, you still have to do this open sea crossing to get to the atoll. It’s far, and it can be rough, and few private boats or really any boats at all that don’t own an island at Glover’s go out there. Glover’s Reef Atoll is the most remote ocean location in the entire country. This is why if you want to go to Glover’s Reef, and you don’t want to charter you own boat (at a cost of approximately $650 US) you have to go on the days that the ferry to your island destination is scheduled to go. We operate our boat two days a week, on Saturday and on Wednesday. Some facilities at Glover’s only offer trips once a week. 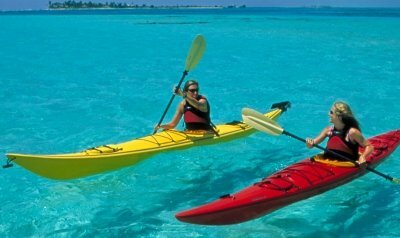 Our boat is based in Belize City, and the price of our travel package includes this boat ride. The price is based on a shared boat between 2 groups. The just-arriving group goes out on the same boat that takes the departing group off the island. Because of this, the boat must leave Belize City first thing in the morning to make the 3.5 hour ride out there, get unloaded, get reloaded, and get back to Belize City before dark. No international flight arrives that early, so you have to arrive the night before and stay in Belize City so that you can get up early to catch that boat ride. 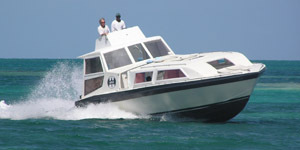 If the boat you are using is out of Dangriga, you have to get there first; by bus, private vehicle, or plane. The roads in Belize are also rough in spots, so getting there by vehicle takes a while. Don’t be fooled by the term “highway”, such as the Western Highway or the Hummingbird Highway. We have seen some improvement to the roads in Belize since we first started guiding there in 1986, but this is still largely a rural road. When joining any tour company that accesses a remote island by boat, make sure lifejackets are required, and make sure that the boat has more than one engine (if a single engine fails, you are in trouble). If the boat is covered, you will be much more comfortable in bad weather, and the larger the boat, the better. Our boat is a 41-foot, fully-covered, triple-engine outboard. We purchased Batfish in 2004, and have upgraded the engines and hull several times. We haven’t regretted this purchase for a minute since then. The importance of having the right boat for this kind of crossing cannot be over-emphasized. So when planning your vacation, don’t purchase your air tickets and then look for a package to a remote island. Do it the other way around. Decide where you want to go and who you want to go with, and base your schedule on theirs. It’s the only way to join a company who offers trips to the least visited parts of this amazing planet.